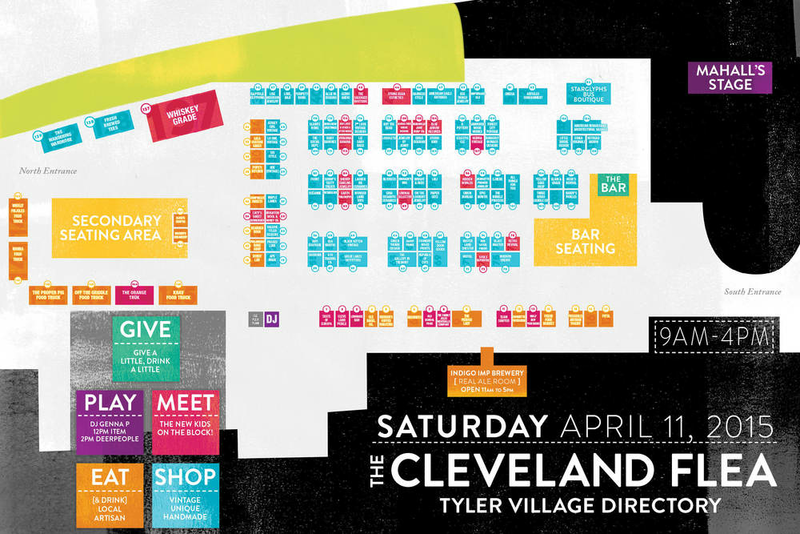 Download the APRIL 2015 CLEVELAND FLEA MAP (PDF) for clickable vendor booths and zoom (Cmd/Ctrl + on your computer, pinch in/out on mobile). Meet this month's lineup! Booth numbers in ( ) correlate to the APRIL 2015 MAP (PDF) and * indicates a new kid on the block.